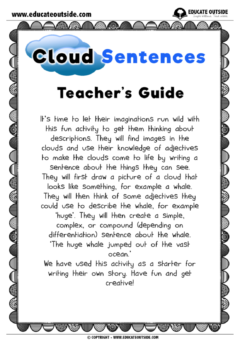 Let your students' imagination run wild with this fun adjectives writing activity. 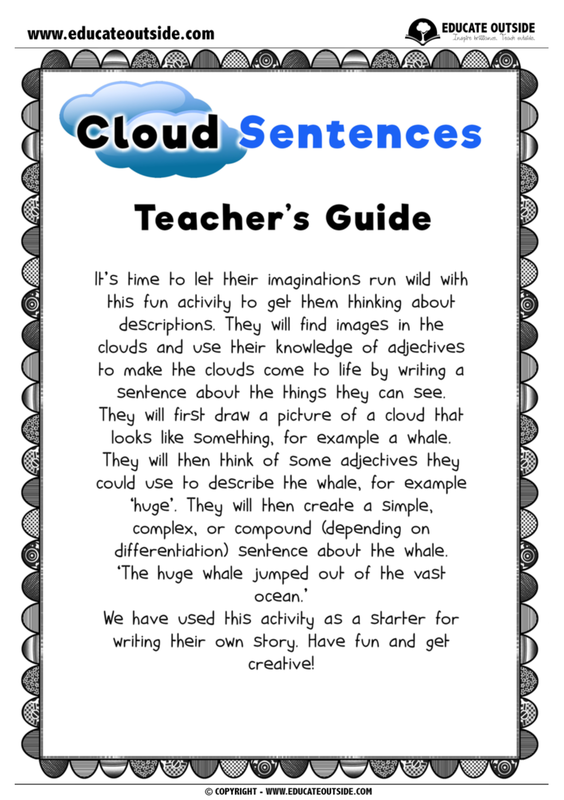 Head outside and enter the magical world of clouds as the children watch them come to life and see what hidden images they can spot. They will then write some adjectives to describe what they can see. 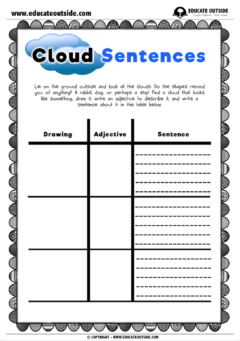 2 x differentiated adjective sheets.